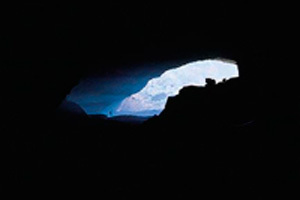 Antalya Region has experienced settlement from the Paleolithic Age to our day. The fact that names of the certain places of this region were mentioned in IIiad of Homer indicates the existence of a native society of 1200 BC in the region which was named as Pamphylia. The region was dominated by Lydia Kingdom, Persians and Alexander The Great in the very first ages. 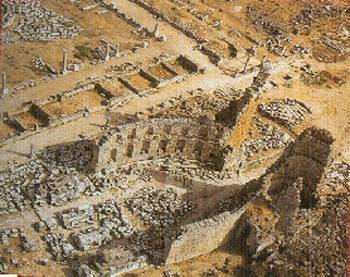 The west part of Pamphylia was passed into the hands of Pergamon King Attalos II in 200 BC and on the western coast of Mediterranean, the king founded “Attalia” which recalls his own name, in other words, the city of Antalya of today. After the death of Attalos II, the city was joined to Roman Empire and from 400 BC onwards to Byzantine Empire. With the ascendancy of the Seljuks over the city, Turkish-Islamic Period began, the region fell into the power of Ottoman Empire towards the end of 14th century. Antalya Museum with the creations of important places of Archaic Age such as Pamphila, Pisidia and Lycia, is one of the most important museums of Turkey. The museum was rustled in Alâeddin Mosque,1922; from 1937 the museum had been in Yivli Mosque until it was replaced its current building in 1972. In Antalya Museum, one of the greatest museums of Turkey, the creations from Prehistoric Ages to Phrygian, Greek, Roman, Byzantine, Seljuk, Ottoman Periods and the Republican Era, are chronolically exhibited for its visitors. The museum consists of 13 salons of exposure, children’s section and open air galleries. The museum which covers 7000 meters, has approximately 5.000 works of art. As for 25.000-30.000 of them, a preserved area which prevents their exhibitions has set. The creations, all of which belong to the region, are generally in chronolical order or on display according to their subjects. In the first salons, the evolutions of the living creatures are told via tableaux, paintings, fossiles and bones. 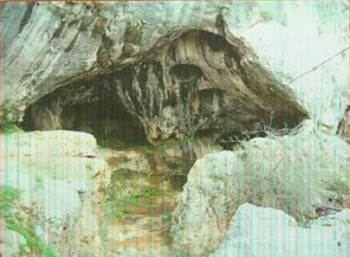 In the Salon of Prehistory, prehistoric foundlings that were obtanined in Karain , Öküzini and Beldibi Caves situated in the vicinity of Antalya; also vases, pots, various objects and tools of Chalcolithic Age and Early Bronze Age, a great number of which was found in the excavations in Elmalı – Semahöyük Tumuluses, are exhibited. 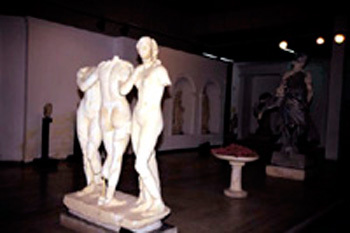 In the salon in which the creations of Archaic Age are located, especially figures made of terracotta, statues, vases, pots and pans and similar foundlings dating back from Archaic Age to Hellenistic Period can be seen. 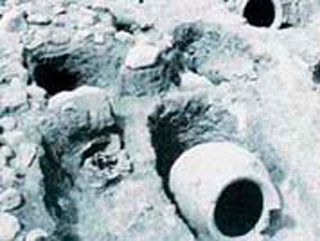 The works of art that can be seen in the Salon of Rescue Excavations, are the foundlings made of gold, silver, bronze and ivory which were extracted in the tumuli of Elmalı-Bayındır village and its near surroundings; these excavations were carried on by Antalya Museum especially between 1986 and 1987. Most of the creations that can be observed in The Salon of Gods were found in Perga excavations, and they consist of statues and busts of gods, goddesses, emperors, empresses and important persons and mythological figures, all of which date back to 200 and 300 BC. In the display windows located in the Salon of Petit Creations, foundlings of variant cultures of 4 and 6 centuries BC are exhibited. In the undersea exposition, the foundlings that were extracted from ancient sunken vessels exist. In The Salon of Emperors, portrait statues of the emperors belonging to 2nd and 3rd centuries, “Three Beatuies” and a statue of belly dancer made of black and white marble exist. 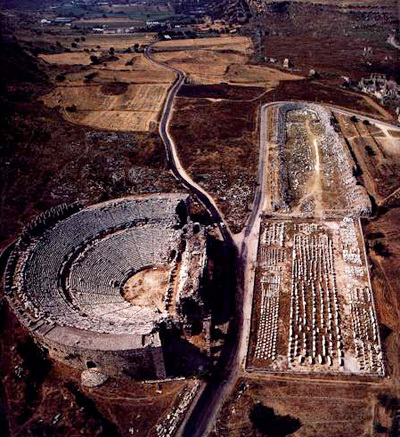 All of these were obtained from the excavations in Perga. In the Salon of Grave Cultures, the sarcophagus which expresses 12 duties of Heracles is among the most precious creations of the museum. In The Salon of Mosaic, there are mosiac descriptions, each of which is beautiful than one another. The mosaic of Xanthos, which tells the mythological story of Archillessos who was doused by his mother Niobe into the river of Xanthos and the mosaic involving the portraits of famous poets, orators, writers and mathematicians of Archaic Age located in the agora of Seleukeia are among the most interesting creations. The collection of icons located in The Salon of Icons and the items are collected in the region of Antalya. 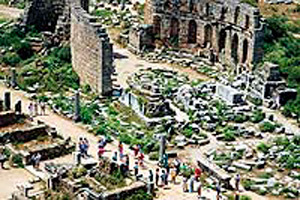 The Salon of Perga was opened in March,1999 for its visitors. Apart from various tablets, the sarcophaguses that were found in Perga, the statues of God and Goddess exist. The statue of Alexander The Great in this section, is accepted as the most beautiful statue of Alexander. In the Salon of Coins and Jewelleries, besides the clipboards which tell the 2500-year-old Anatolian tradition of coin press and the technique from 6th century BC; various coins of Archaic, Classical, Hellenistic, Roman, Byzantine and Ottoman coins are chronolgically classifed. In the Ethnography Section, chinas of Seljuk and Ottoman Periods, various household goods, rugs, carpets, clothes and objects, collected in Antalya and its neighbourhood,that are peculiar to Turkish traditions and Antalya House which was designed in this section take place at the exhibiton. In The Second Ethnography Salon, sections from the Yörük style of living are given. Also, rugs with different motifs that were woven in the villages of the region which is also known as Döşemealtı, local musical instruments, spooning of Akseki are the other creations of this salon. A corner of The 3rd Ethnography Salon is preserved for the living room, bedroom and bathroom of Antalya House. In the other section, samples from the Anatolian centers of rug business exist. In the section which is named as Children’s Museum, toys that remain from Archaic Ages and the models forming the typical bazaar of an Anatolian City which is gradually being lost are on exhibition for the little visitors. In the garden of Antalya Museum, the sarcophaguses, stelles, tablets, cubes made of terracotta belonging to various periods and many architectural pieces can be seen. In museum guide, the museums which are depicted, pertain to ethnographical qualities as they can be seen through the categories on the web site. 1. If you share our content in another web site, please denote the sources. Thanks for your interest. 2. If you think that there is something which is against the copyrights and laws, please inform us.